Being wedding photographers, our ultimate job is to capture the love. And we’re not just talking that of the two people about to get married, we’re talking about the whole celebration. Because at the end of the day, it’s also our role to capture the love filling up the entire place–the love of friends and family as they see the bride for the very first time, the love of a mother as she sees her son shed a tear, the love in a father’s embrace as he dances with his daughter–and making it all resonate through our lenses. We really take pride in what we do and we go the extra mile each and every time. 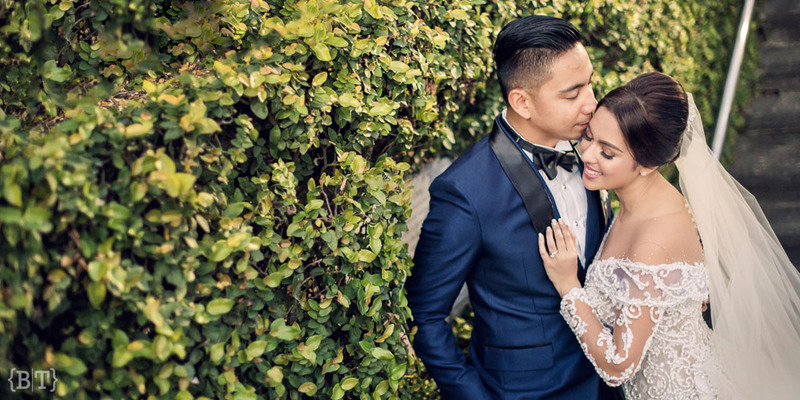 When we were asked to cover this special event, we could not have been any more ecstatic to show and experience a different kind of love, “The Greatest Love” at that. A couple of days ago we were tasked to cover a TV wedding for one of ABS-CBN’s hit afternoon series, The Greatest Love, starring Sylvia Sanchez as Gloria and Nonie Buencamino as Peter. Gloria, who has Alzheimer’s disease, is finally marrying her greatest love, Peter. And to be able to cover that love story? We were thankful to be given the opportunity. It was different, it was challenging, it was out of our comfort zone but above all else, it was fulfilling to be able to do this project. And so please join our team’s milestone for this TV wedding that will forever be etched in our memories. We present to you Gloria and Peter’s “The Greatest Love”. We hope you enjoy this slideshow!